Synopsis: Young Danny Flynn is released from prison after 14 years after “taking the rap” for the IRA and tries to rebuild his life in his old Belfast neighborhood. If you want to join the IRA in the movies, it seems you have to be able to prove you have absolutely no sense sense of humour whatsoever. To be sure, the troubles were no laughing matter, but were Republican activists really such a dour lot, even when socialising? The Boxer establishes early on that any wife of an IRA member languishing in one of Her Majesty’s boarding houses is strictly off-limits – in fact, even just dancing with one is liable to leave you with holes in your kneecaps. 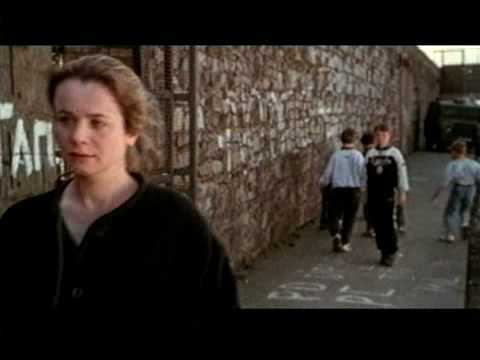 So when Danny Flynn (Daniel Day-Lewis – In the Name of the Father, Gangs of New York), whose promising boxing career was abruptly curtailed by the 14-year prison sentence for IRA activities which he’s just completed, begins seeing his ex-girlfriend, Maggie (Emily Watson), the wife of an imprisoned IRA foot soldier who was once Danny’s best friend, it’s only a matter of time before certain people start taking an interest in his activities. The fact that Maggie is the daughter of a prominent IRA leader who is heavily involved in brokering a peace deal with the British government only exacerbates an already tricky situation. And Danny aggravates the situation even further by turning his back on his old life and, with the help of his old trainer Ike (Ken Stott – Man Up), who became something of an alcoholic whilst Danny was inside, opening a non-secular boxing gym. 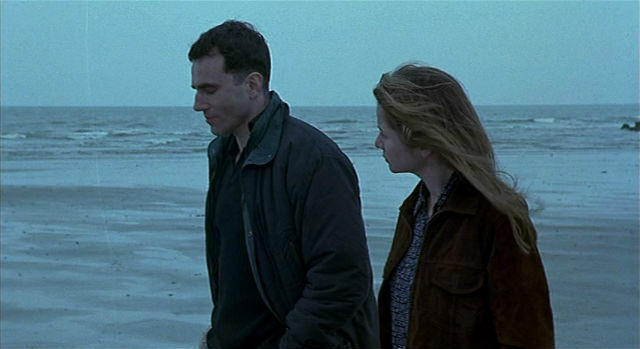 The Boxer is a movie that finds traces of hope in a world in which there seems to be none. Belfast in the midst of the troubles is a grim, desolate place; in fact, there seems little difference between the men’s refuge in which Danny spends his first night of freedom and the prison from which he has just been released. It’s a world of mistrust and discord, a tumultuous arena in which religious tribes live in perpetual disharmony, and it’s one which Danny refuses to leave but with which he is distinctly ill-at-ease. As always, Day-Lewis captures the essence of the man, not only with the accent and physique, but the way he looks at other people, the way he moves in the ring, and the fleeting expressions that speak of his inner turmoil in a way that his character cannot. The tentative resurrection of Danny and Maggie’s relationship is handled with tact and sensitivity. These are people who are both damaged and moulded by their pasts, and their conversations are as natural as those between two people unaware that their words are being overheard. Director Jim Sheridan and co-writer Terry George demonstrated a similar strength for character interaction with In the Name of the Father, another movie starring Day-Lewis which dealt with the troubles in Ireland. But like that earlier movie, The Boxer’s view of the IRA might be a little too respectful for some. We have the usual unsmiling, cold-eyed IRA activist in the malign form of Harry (Gerard McSorley), who was with Danny on whatever exploit earned him a prison sentence, but was fortunate enough to escape capture, a fact which, for some reason, appears to irk him far more than it does Danny. But The Boxer also presents us with an altogether more humane and reasonable face of the IRA in the form of Joe Hamill (Brian Cox – 25th Hour, The Anomaly), the political negotiator and loving father who is so vexed by the British Government’s refusal to release all those IRA prisoners who co-ordinated the mass murder of its citizens. At the film’s end, Hamill dispenses a form of justice which might be satisfying emotionally, but solves very little in terms of the context of the story, and will alienate a substantial portion of the audience.